FIFA President Sepp Blatter is being investigated by US officials as part of their inquiry into corruption at the soccer governing body, US media say. 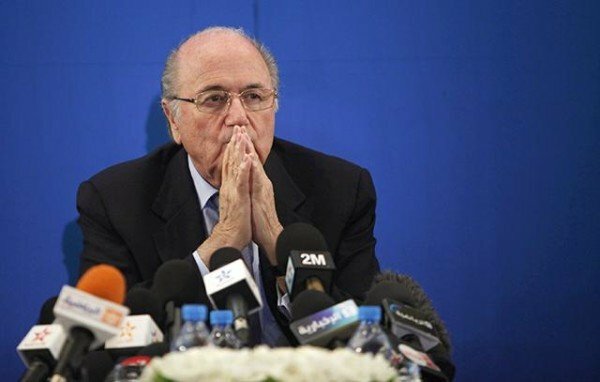 The news came hours after Sepp Blatter announced that he was stepping down from his role. Two days after the arrests, Sepp Blatter was re-elected president of FIFA. However, Sepp Blatter said on June 2 that it appeared the mandate he had been given “does not seem to be supported by everyone in the world”. According to the New York Times, US officials said they hoped to gain the co-operation of some of the FIFA figures now under indictment on charges of racketeering and money laundering to try to build a case against Sepp Blatter. Earlier the FBI, IRS and the US Attorney for the Eastern District of New York, who is involved in the US prosecutions, all said they would not comment on the Blatter resignation. In its prosecution, the US justice department said 14 individuals were under investigation worldwide for allegedly accepting bribes and kickbacks estimated at more than $150 million over a 24-year period. The arrests overshadowed the vote for a new president, which Sepp Blatter won, defeating his sole challenger, Prince Ali bin al-Hussein of Jordan. Announcing his exit on June 2, Sepp Blatter, 79, called an extraordinary FIFA congress “as soon as possible” to elect a new president. Sepp Blatter, who has been FIFA president since 1998, said: “The next ordinary FIFA congress will take place on May 13, 2016 in Mexico City. “This would create unnecessary delay and I will urge the executive committee to organize an extraordinary congress for the election of my successor at the earliest opportunity. Further allegations of corruption emerged on June 2 with claims that Fifa general secretary Jerome Valcke was linked to an alleged $10 million payment of bribes over South Africa’s bid to host the 2010 World Cup. He denies any wrongdoing.